With Kim Wilde releasing an album of covers on August 27, it's inevitable that I went searching for the original versions of the songs featured on that album - at least, the ones that weren't already in my collection! Kirsty MacColl's 'They don't know' was released in 1979. I didn't know there was a picture disc edition of the single, but here it is... I found it for close to nothing on Ebay. It made me wonder why I never saw this single before, because I would certainly have snapped it up: it's much better than the Tracey Ullman cover released a few years later. I was already an avid follower of the Dutch Top 40 in 1981, and as such I was always impressed with the title of this single. The song itself, however, was a different matter. It took me two decades to start to like the track. The single reached nmber 14 in the UK singles chart and number 16 in the Dutch Top 40. 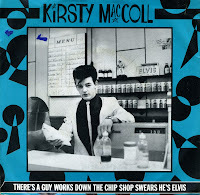 In America, a version was released called 'There's a guy works down the truck stop swears he's Elvis', since a 'chip shop' is a very British thing - but this alteration didn't help it reach the chart across the big pond. The country version on the B-side is a great alternate version, by the way. 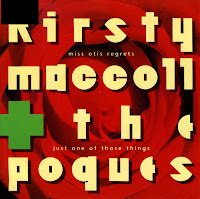 Amazingly, the wonderful video for Kirsty MacColl's 'Terry' cannot be found on YouTube. It was this video that made me interested in the song after a long time. At first I couldn't stand the video, then I began to think it was pretty funny and in the end, I had to admit that the song was pretty amazing too. 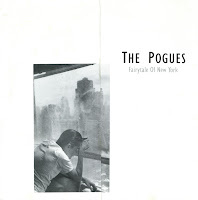 Still, it would be 1990 before I bought the single, because when I finally liked the song the single had disappeared from all the record shops.